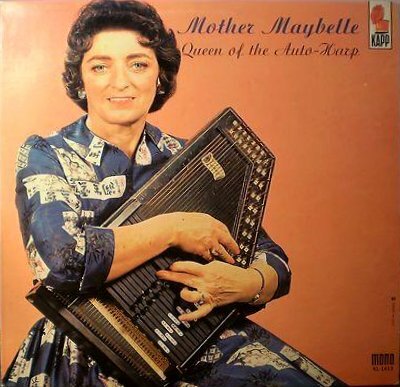 Autoharp Buyers' Guide on Riverboat Music Making Your Autoharp Folk-Friendly What is a Diatonic Autoharp?" Autoharps for People with Short Arms Is my Autoharp a Type A or Type B? How Much is my Autoharp/Chromaharp Worth? This page started out as part of a Buyers' Guide for autoharps that I put together about 2015. I learned quickly that people appreciated what I had to say about the things. In fact I got so many questions that I added several other pages on the topic. So I've copied the history section from the buyers' guide here, and added links to the other articles. Please pardon me if it seems a bit redundant, but I have a lot of readers on both sites who deserve easy access to this information. Autoharps were one of many attempts to bring music into essentially non-musical households that started in mid-to-late 1800s. Traveling salesmen hawked similar devices from the East to the West. Mail-order catalogs listed instruments that "anybody could play." But the autoharp and some of its immediate ancestors came the closest to fulfilling that promise. Then the radio came along, and that was even easier to play. The autoharp and its ilk took a back seat to broadcast music programs for years. Then the autoharp made a comeback - through the radio of all things. More specifically through the early radio hits of the Carter Family. It has never quite gone away since. And there are plenty in attics and garages to prove it. The good part of that is that they're relatively solid, so the physical structure lasts a long time unless it's exposed to temperature and moisture extremes. The bad part is that, even with good storage, the strings and springs age and rust, the felt hardens or crumbles, and unless you have time and skills to do the work yourself, an old one may cost nearly as much to restore properly as a new one costs to buy. The other bad news is that, to many people, it still bears the stigma of being an instrument for dummies. It got no respect from "serious musicians" a century ago. And in many circles it still gets no respect. This despite the fact that many people have figured out inventive ways to play them and even inventive ways to remake them into unique instruments with distinct musical voices. Instruments with a dozen or more strings stretched across a soundboard go back millennia. Attempts to help players play only the strings they want to play go back at least a century and a half. I once owned an unplayable ancestor of the Autoharp - a sort of psaltery with a metal bar across the strings and holes cut in the bar. Each hole represented a chord, exposing only the notes in that chord, so you could change chords simply by moving your flatpick over another hole. Clever in its way, I'm sure it was sold door-to-door in the mid-to-late 19th century. I'm sorry now that I didn't take photos before I gave it to a theatrical troupe to use as a prop, but that was many years ago, long before I owned a digital camera or knew I would be writing such articles. Starting in the late 19th-century, emphasis changed to using dampers, so the musicians strumed most or all of the strings, but only the notes that fit the chord would sound. Oscar Schmidt's autoharps were an advance on most options being attempted, including those by a fellow named Zimmerman, who actually invented the term "autoharp." As Oscar Schmidt's design became the standard, Oscar Schmidt registered the trademark "Autoharp" in 1926. However, Schmidt's company didn't rigorously defend their trademark, so the name "autoharp" passed back into common usage. So now anyone can make an Autoharp-like instrument and call it an "autoharp," as long as they don't use Oscar Schmidt's logo (above right). That said, Oscar Schmidt is still the major player in that market. They are followed by an Asian maker who makes "Chromaharps," mostly clones of 15-chord OS autoharps that they target toward the educational market (sometimes under the Rhythm Band name). Chromaharps have also come out under Sears' "Silvertone" name and others. Recently they were being manufactured by Samick, a company that makes many other instruments for other companies to put their name on. An autoharp typically has 36 or 37 strings, and an array of sprung dampers called "chord bars" that you force onto the strings by pushing buttons (either 15 or 21 depending on the model). All Oscar Schmidt and Chromaharp autoharps are "chromatic," which means that they have over two octaves of chromatic notes (white AND black keys) plus some extra bass notes for the most common keys. A standard 15-chord Autoharp has the major chords between Eb and D, plus several seventh chords, allowing you to play most songs in Bb, F, C, G, and D. If you have one of these and wish you had the 21-chord version, don't despair. Oscar Schmidt has released a conversion kit. On the other hand, many advanced autoharp players are actually removing buttons, so don't spring for the upgrade kit just yet. More on that later. In case you wondered, the standard Chromaharp 21-chord and 15-chord versions have exactly the same chord setup. Early autoharps and the instruments that preceded them were typically played in the lap, like an Appalachian (mountain) dulcimer and most zithers. Country songwriter Cecil Null is given credit for popularizing the vertical position, playing it across the chest, pushing the buttons with the left hand and strumming with the right. He's also credited with recommending changes that made the instrument easier and more comfortable to play in that position, including rounding the corners and moving the chord bars down to make it easier to strum the strings above them. In the 1960s, a Japanese musical instrument company (Sekova?) started making "Chromaharps," which were based on Oscar Schmidt's principles, but were redesigned to make maintenance and upright playing easier. Soon Oscar Schmidt's autoharps (sometimes called type "B") included those improvements and then some. Today, most 15-chord Oscar Schmidt autoharps have a "B" in their model number and most 21-chord OS autoharps have a "C" in their model number, but - except for the number and shape of the chord bars - the overall construction is similar, and in some cases identical. You can tell the new Oscar Schmidt autoharps from the older ones by a strip of aluminum that holds the ends of the strings, or in the professional instruments, a row of fine tuners. The older ones (sometimes called "Type A") had strings that looped over little pegs sticking out. If you're shopping for used Autoharps to play, most technicians advise against getting the old Type A harps. Not only are they harder to play in an upright position, but a high proportion of them have been damaged by attic storage or the like. These days, Oscar Schmidt still makes most of the autoharps you see for sale. There are a few companies who try to undercut them on price, but that's hard to do without sacrificing quality - let's face it, Oscar Schmidt paid off their R&D and tooling expenses a very long time ago. There are also some custom builders who make instruments that are truly professional. In this article, we'll try to take a look at your best options for starting out, with some reminders that you can spend more and get more if you want to. I have been buying used instruments for over fifty years, and the autoharps I own now are no exception. But before I really knew what I was getting into, I made a few bad choices. If you buy an instrument that needs its strings replaced, assume $60+ if you do it yourself; add another $50 or so to pay someone else to do it. If the felts need replaced, you can buy new, felted chord bars for $50-$100, or you can refelt the existing chord bars yourself for about $25 and several hours worth of effort. If you accidentally buy an instrument with a cracked soundboard, plan on using it as a decoration. In other words, you may think you're saving $150-250 by buying an autoharp used, but you may wind up paying more to make it playable than you "saved" on your purchase. I know that many people view autoharps as toys, but you can get real music out of them if you treat them like real musical instruments. Unfortunately most owners haven't done that, and an autoharp that hasn't been properly stored and maintained is no more likely to be playable than a guitar or banjo that hasn't been properly stored and maintained. My typical "Take someone along who knows what they're looking at" advice if you go to shop for a used one one is especially true in this case. I wrote the original version of this article after I had purchased a few autoharps that could be made playable with minimum effort. Plus I have a lot of experience rebuilding instruments, so taking things apart and putting them back together doesn't intimidate me. So I was much more optimistic than I am now about the average person having success with used autoharps. I have several readers who have restrung and repadded used autoharps with great success, but I've encountered tales of folks spending more to have a used autoharp restrung and refelted than they would have spent buying one new. I've also bought more than one used autoharp as part of my research that are not, frankly, worth restoring for the average musician, including a couple that looked almost brand new. Worse yet, some of the instruments have so much dust and or mold that they will actually threaten your health if you attempt to make them playable without a mask and or extraordinary ventilation. Instruments for Refurb - If you're going to restring and remove the chord bars anyway, getting the dust off and out of the thing is much, much easier. So a filthy instrument that shows no signs of mold may suit your purposes. Just to be sure to do the immediate work outside or wearing a mask. If there are signs of mold, though, steer clear. To some extent, excess rust for the age of the instrument can imply significant exposure to moisture at some point. So if you have a 90 or 120-year old autoharp with some rust, you're probably okay. If you have a 50-year old instrument that is well-rusted, steer clear, even for refurbs, unless it is an extraordinary instrument otherwise. Even after a good external cleaning, mold can still linger inside where you can not get to it without, say, taking the back off, and then you're into a serious rebuilding effort. Instruments for Immediate Use - If all you're trying to do is get an instrument that can be made playable without replacing the strings or pads, look for one that had a case and shows little evidence of dust or rust. If you select a dusty or grimy instrument, just be aware, that you'll spend some time getting enough dust out of the works to make playing it safe for your sinuses. Instruments with Cases - All other things being equal, if you have a choice between an instrument that has a case and one that doesn't go for the one with the case. Dust gets everwhere on and in these, and is very hard to get out of some places unless you're doing a complete rebuild. Now, a lot of people who own these things leave them out even if they have cases for them, but if they had no case, you can pretty well expect a very dusty instrument that will take hours longer to clean up. If they had a case, there's a chance that the instrument is less dirty. We now return you to our regularly-schedule article. "Refurbished" Autoharps" - One user-friendly variation on the "used autoharp" scenario is the guys that pick up used basket-case autoharps cheap and rebuild them, either as they were new or as "diatonic" autoharps, usually for use in Folk, Celtic, Bluegrass or other roots music. If you've chosen the latter conversion, the rebuilder will replace the 15 or 21-chord button arrays with smaller arrays that only play a few chords (maybe enough to play most songs in the keys of D or G). Then they retune strings that would have been used for notes like Eb to notes that fit within the chords they've chosen to use. This doubles the notes you will use, the same principle as a 12-string or mandolin. With one of these two- or three-key harps (called a "diatonic"), you can no longer play in 7 keys (like a 21-button autoharp allows) or even 5 keys (like a 15-button autoharp allows). But the keys you can play in sound great. In this cottage industry, the fellow doing the conversion may have spent $100- $200 for a "project" autoharp, $80-110 for replacement parts, and put in 8-12 hours of labor. Most of these guys will do any reconditioning or restringing that is necessary while they're doing the conversion, so you wind up with a like-new, customized autoharp for what is actually a reasonable price, considering the work they've put into it. Something worth considering if you're a Folkie, Celtic, Bluegrass player, etc. One fellow who has done many rebuilds and conversions is Bob Lewis of Autoharp Works. His discussion forum page on buying autoharps - new, used, or refurbished - is a resource in itself. As is his chart on how he reworks classic 15-button autoharps into G/D diatonic models. To me, buying a used, unrefurbished autoharp is a bad gamble unless it shows no signs of rust, is in good condition, and is half or less the cost of a similar new one. Buying a used autoharp that has been refurbished for playing in two or three keys is probably something you should hold off on. Buying a new 21-button "chromatic" autoharp will give you a place to start. Even if later on you order a custom version, you'll have an instrument you can take to gigs with folks you don't know who might wind up playing in strange keys. Plus if you're "out" somewhere and someone throws a chromatic autoharp at you and tells you to join in, you won't embarrass yourself. If you decide later, you need a custom or converted C/G/D autoharp or some such, you still have this one as a backup. In fact, autoharp pros and semi-pros often have multiple instruments they take along for different keys, the same way harmonica players do. Of course, it is easier to drag around extra harmonicas. Shop for Cases, Too - As mentioned above, dust is one of the great enemies of autoharps. Neither the cardboard cases or cloth gig bags that most people buy for these will really protect the instrument from physical damage in a packed car or whatever, but either will protect the instrument from collecting dust in hard-to clean places. Unless you buy your autoharp with the assumption that you're going to fiddle with it extensively from the start, you should also pay attention to which keys you can play on the autoharp in question. Don't get me wrong - all 15-chord Oscar Schmidt or Chromaharp autoharps you can buy new today have exactly the same chord setup, and all but one 21-chorders have exactly the same setup. But if you've heard the rumors that autoharps don't play well in the most popular guitar keys, you should have access to the details. For that reason, we've written an article - Autoharp Factory Tunings - that explains the four most popular "storebought" configurations, and some variations you might stumble across or want to spring for. One popular variant is the Oscar Schmidt Americana, which sacrifices Ab, Cm, and Bb7 chord bars to make room for E, Bm, and F#m, three chords that are important if you're playing in the key of A or D (the most popular Folk and Country key). If you already have an Oscar Schmidt 21-chorder, or if your budget doesn't allow for a high-end instrument, don't despair - you can buy the chord bars for E, Bm, and F#m separately, and rework your 21-key Oscar Schmidt to Americana settings or some variation you prefer in a single evening. I hope to have an article on this conversion at some point. Update for 2018 - After I first published this page, I started getting reader questions I didn't know the answers too. So I started to write ONE article to answer the most common questions and point to good resources for the rest. But the information I needed to answer reader questions was scattered all over the Internet, in many unorganized places like discussion forums and personal web pages. So I realized one article wasn't gong to do it, and I wrote several. Autoharp Factory Tunings - Describes the four most common chord layouts for new autoharps, and the two most common variations. Making your Autoharp "Folk-Friendly" - Adding chords you need for songs in G, D, A, and E, while removing chords you almost never need like Ab and Bb7. What is a Diatonic Autoharp? - An overview of the way some people reconfigure their autoharps to play in fewer keys but with doubled strings for a richer sound. Autoharp Buyers' Guide - Contains much of the content on this page, followed by more buying tips and a list of new Autoharps worth considering. Autoharps for People with Short Arms - Suggestions for folks who find standard-sized autoharps inconvenient or painful to play. Is my Autoharp a Type A or Type B? - In 1968, following Chromaharp's lead, Oscar Schmidt reconfigured their instruments to be more ergonomic. They also changed the string attachment and removed the bridge. A late model A may still be a very playable instrument, but used model Bs tend to be in better playing condition just because they're newer. Either way, if you want to restring an autoharp, you'll find out that the strings are different between the two models. How do you find out which one you have? Early Autoharp Chord and Note Numbers What's with the weird labeling system on early 3, 4, and 5-chord autoharps, and why do they label both A and Bb as note number 6? How Much is my Autoharp/Chromaharp Worth? - How do you determine the value of an Autoharp or Chromaharp that has come into your position. Configuration and condition are the most important factors. I also picked up four very different autoharps I didn't really need because I wanted to do the projects I was reporting on myself. But time to spend on those projects has run out, so I won't be getting back to them for a while. In the meantime, I hope these articles help answer your questions about these under-rated instruments. How To Help Our Site for Free: If you find our tips, explanations, and recommendations helpful when picking out a product, and you appreciate that we don't continually inconvenience you with irrelevant ads or obnoxious popups, Please Bookmark This Page and come back through it when you're ready to order. It costs you nothing, and we never see who placed the order, so you don't have to worry about us pestering you with followup e-mails or some such. But it helps us know what pages you find useful, and it helps our advertisers know who to support.